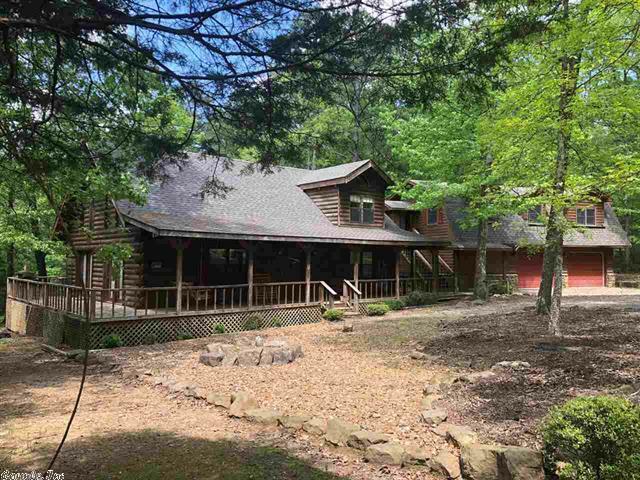 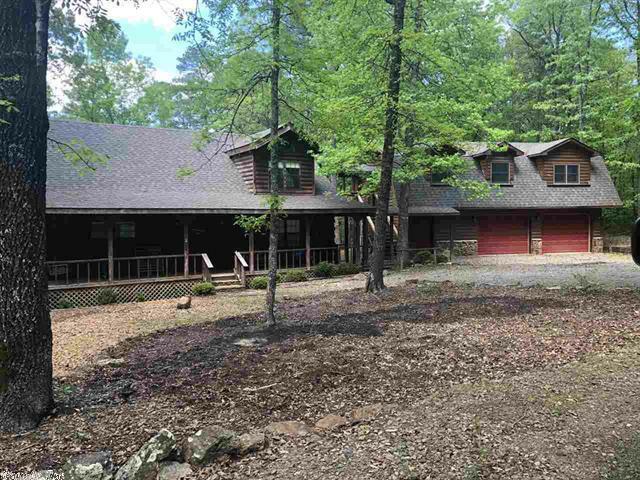 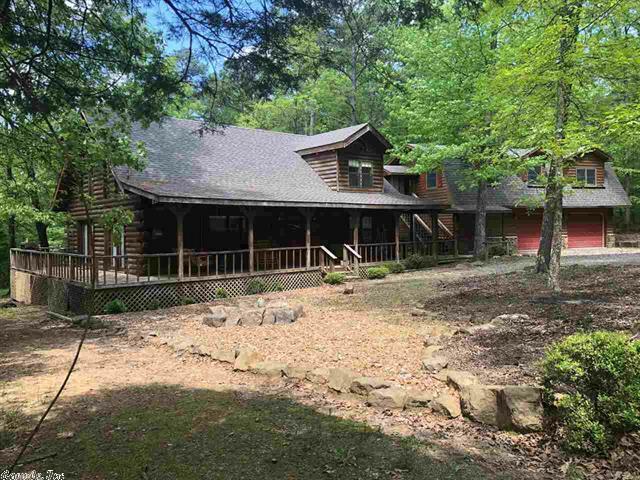 Details: Almost Heaven - close to everything, Tannenbaum Golf Course, Greers Ferry Lake at your door step. 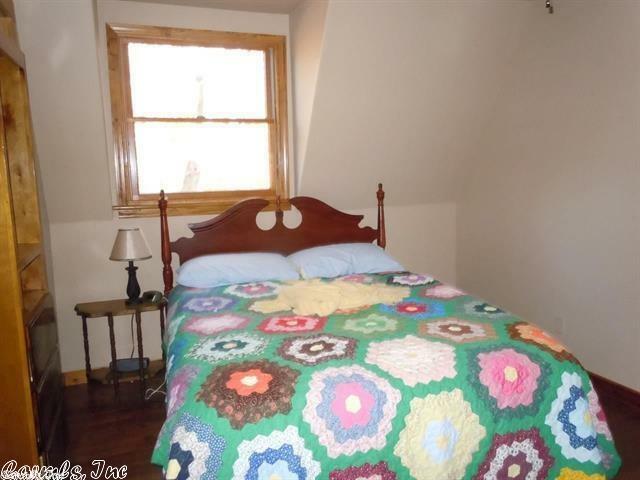 Downstairs has 2 bedrooms both with queens, upstairs 1 bedroom w/queen, Garage Apt.1 room w/2 twins, 2 rooms both w/queens, Sleeper sofa. 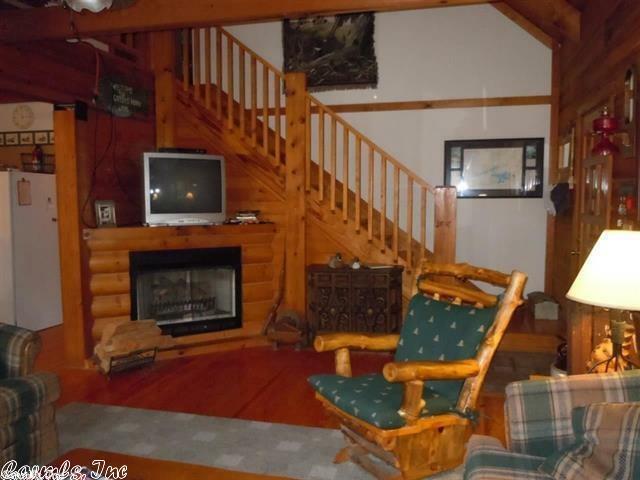 Overall: 2,056-sf log home and 1,073-sf garage apt. 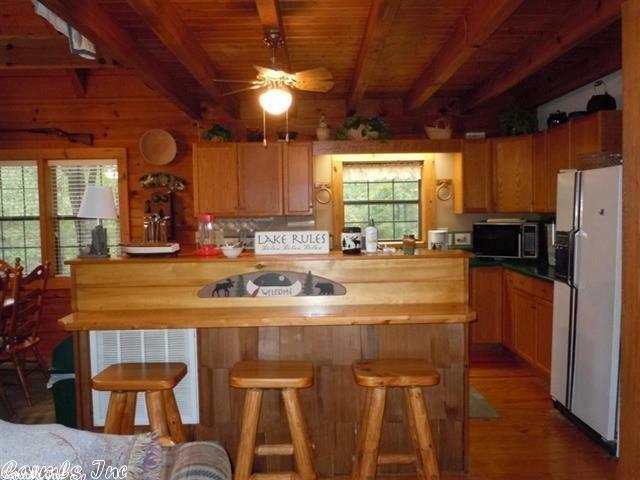 and 3-car garage. 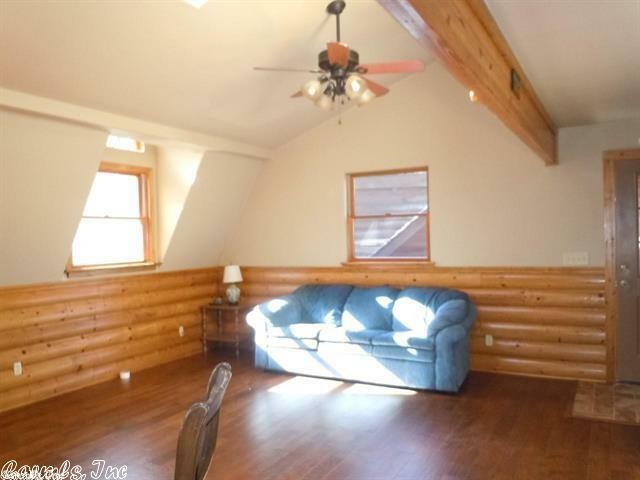 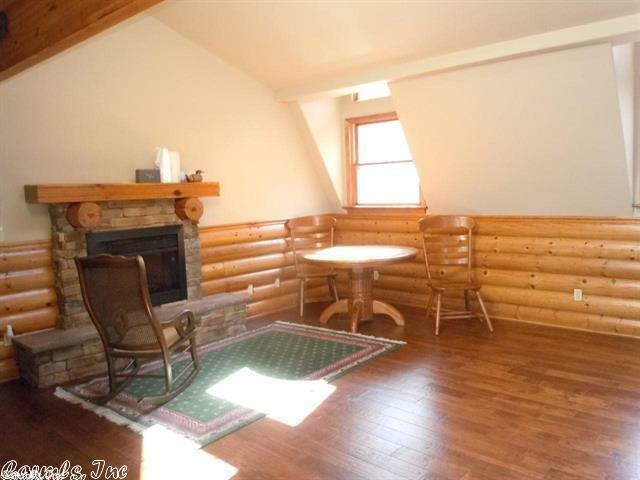 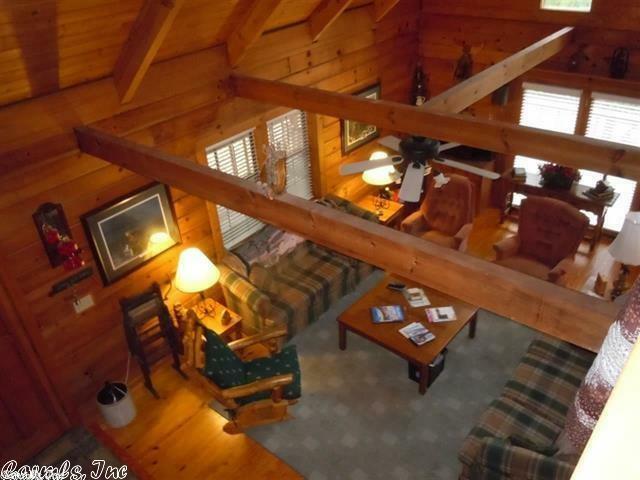 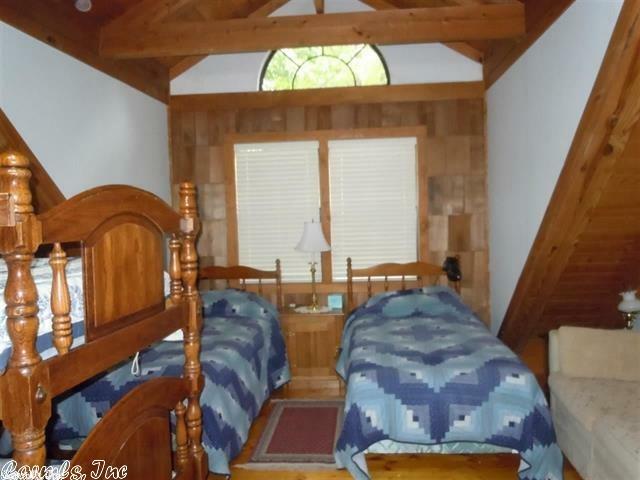 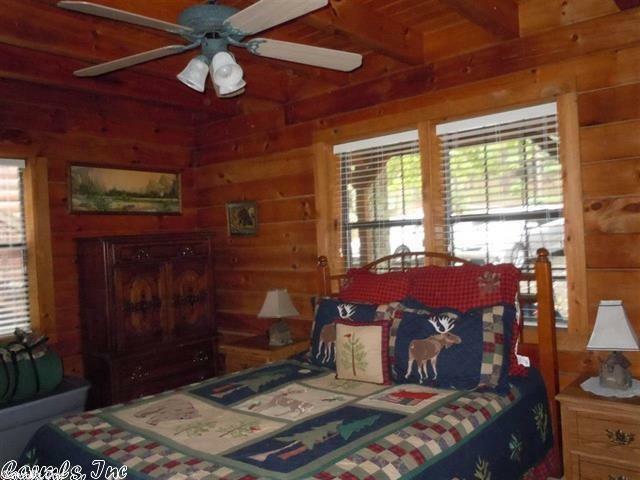 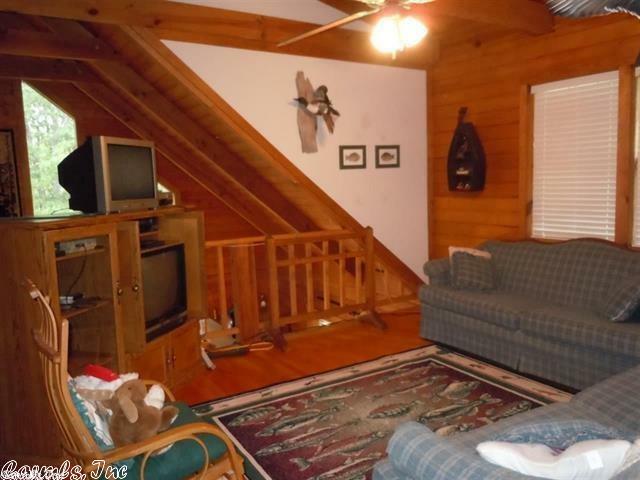 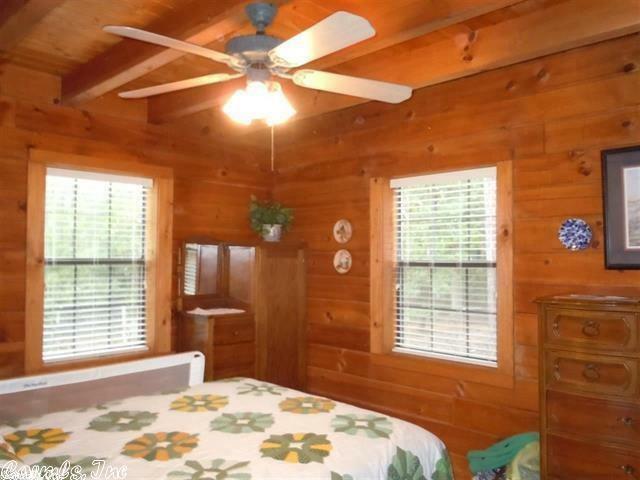 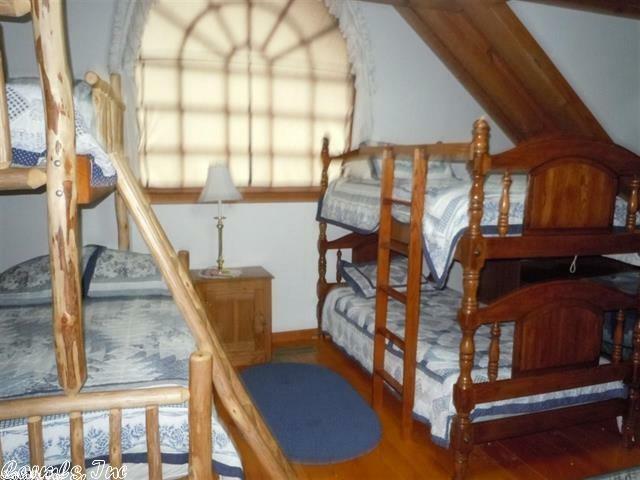 Hardwood and tile floors throughout; vaulted ceilings, gas logs. 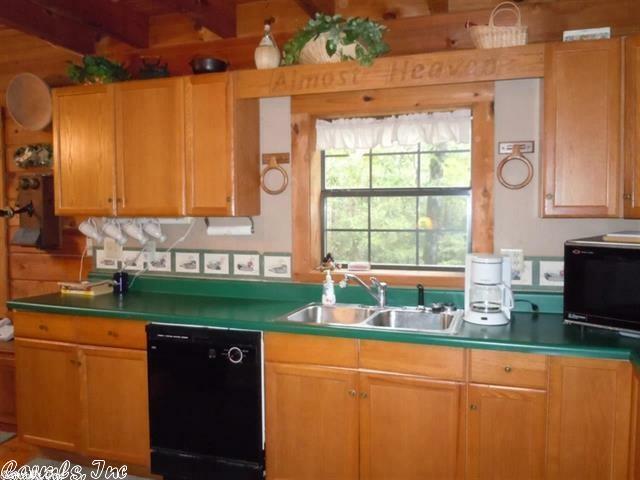 Mostly furnished, fully-equipped kitchen. 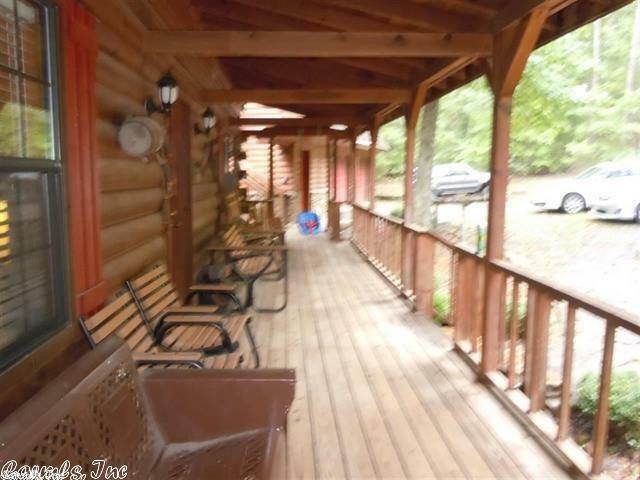 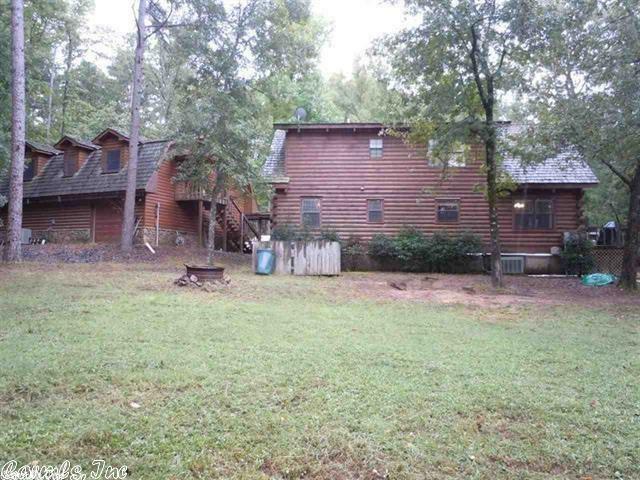 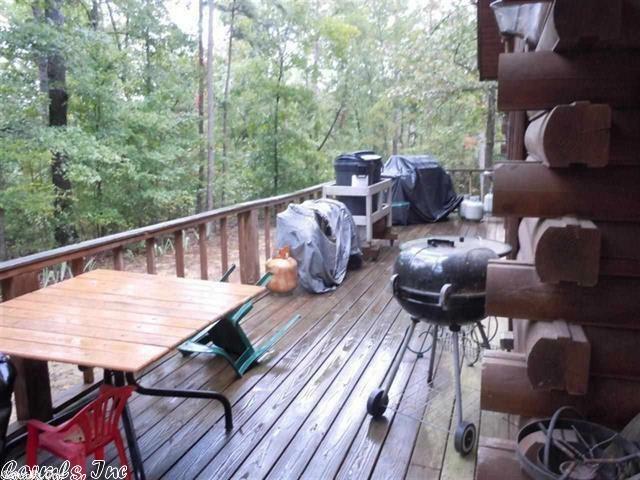 Large wrap around deck to enjoy the outdoors and wildlife.